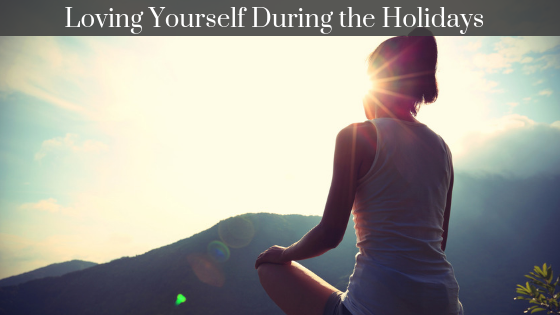 The holidays can be a busy and stressful time. Regardless of religious affiliation, studies show that during this time of year, many people come down with depression or as some may call it the holiday blues. What are the holiday blues and what are some common symptoms? According to the NAMI, the holiday blues can be defined as “temporary feelings of anxiety or depression during the holidays that can be associated with extra stress, unrealistic expectations or even sad memories that accompany the season.” Some signs you could be dealing with the holiday blues are: fatigue, loneliness or isolation, tension, sadness, frustration or a sense of loss. The holiday blues is most often temporary. However, sometimes it leads to clinical depression or seasonal affective disorder. In these circumstances, be sure you seek the help of a professional. The American Psychological Association surveyed several participants about the holiday blues. Participants reported that during the holidays even though they felt feelings of happiness, they also felt fatigue, stressed, irritable and sad. In this same study, 38% of participants said their stress levels increased during the holidays. The study uncovered possible reasons for increased stress among participants: lack of time, lack of money, commercialism, the pressures of gift giving and family gatherings. Practice self-love: Carve some time out to give back to yourself; do things like take a bath, exercise, read a book, walking outdoors, or finding time alone. Practice gratitude: Try starting and ending your day by saying one thing you are thankful for. Practice rest: Most adults need 8-9 hours sleep a night. Teens need 8-10. All of us are sleep deprived! Sleep more to feel better. Practice being in community: Do not isolate yourself. Spend time with supportive and caring people. Have some fun with other people. Play cards, games, and turn off the screens. Practice setting realistic expectations and goals: Trim your schedule. Try writing it on paper so you can get a visual of what you have going on and when. Also, try making a to-do list so you might not feel as overwhelmed. Set and communicate clear boundaries so others know of your expectations and limits. Practice budgeting: The holidays can create financial stress due to poor planning. Make a budget specifically for holiday-related activities, gifts and anything else you may need. This way you will be more careful with overspending. Practice healthy eating & drinking: Most seasonal events are filled with sweets, fatty foods, and alcoholic drinks. Remember that your diet can relate to your physical and mental wellbeing. Practice moderation while eating and drinking. Know your limits and stick to them. Eat at regular intervals to maintain energy. While it’s tempting to skip meals to allow for more calories at holiday parties, you’ll likely feel crummy all day and overeat at your events. Eat every 4-5 hours for sustainable energy. Stay hydrated. An easy rule of thumb is to drink ~16 oz. (two, 8 oz. glasses or 1 typical water bottle) of water at each meal. Dehydration may lead to fatigue, headaches, and overeating. Limit caffeine. Caffeine is the most commonly “abused” drug in the US and too much may increase heart rate and risk for insomnia. Excess may lead to dehydration also. Drink decaffeinated beverages after 2 PM if possible. Include high protein and high fiber foods to help balance blood sugar. Add chopped nuts to oatmeal or have hard boiled eggs and whole grain crackers for a snack instead of granola bars, cookies or pretzels. Whole grains provide fiber, which is filling and balances blood sugar better than refined carbs. Don’t shop while hungry. Pack nuts or dried fruit, which are non-perishable and can be eaten in your car between trips. Being hungry may make you irritable, which impacts how you treat family, friends, and strangers. Be a dessert snob. While it’s easy to go overboard this time of year, too much sugar leads to weight gain, increased cholesterol, and blood sugar. Share desserts or skip the extras that you can have any day of the week like M&Ms, boxed brownies or doughnuts brought to work. Remember to eat vegetables. Bring a veggie tray to a party instead of a bag of chips. It’s colorful, crunchy and nutrient dense. Work in some exercise. It helps to reduce stress, minimize holiday weight gain and improve sleep. Something we could all use a little more of this time of year. Practice volunteering and giving back: When you’re feeling down, there is nothing like giving back to others Try serving in a non-profit or visit a nursing home to sing carols with your kids. Many residents never have visitors. Send holiday cards to servicemen and women overseas. Practice making new memories: Many families practice holiday traditions passed down through their generations. However, if you have lost a family member or friend, it can make getting through the holidays challenging. Try starting a new tradition with others or recreate an old one you had forgotten about.